Girdwood musher Nicolas Petit has notched his second Copper Basin 300 win in a row. Petit, 39, and his 10-dog team crossed the finish line in Glennallen at 7:07 a.m. Monday, 35 minutes ahead of the nearest competitor. Petit’s team was led by sled dogs Kristy, 5, and Joee, 2. The Copper Basin 300 is Alaska’s first major mid-distance sled dog race of 2019. Last year, Petit won every mid-distance sled dog race he started, including the Copper Basin 300. He placed second in the 2018 Iditarod Trail Sled Dog Race after losing the trail and his lead in a snowstorm roughly three-quarters of the way into the 1,000-mile competition. This year, Petit said, his goal is to improve. Petit won $8,000 for his victory Monday, Severs said. 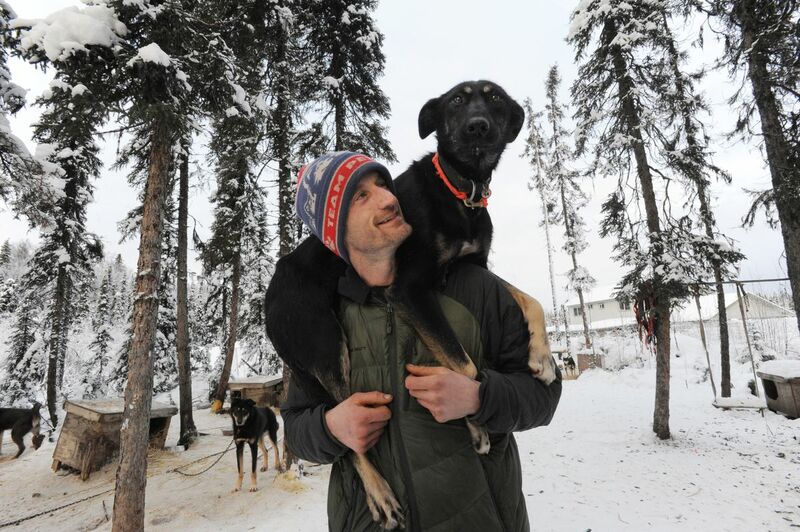 Eurkea musher Brent Sass and his dog team finished the race at 7:42 a.m., placing second and winning $6,000. The remaining top 10 teams split $16,000. This is the 30th anniversary of the Copper Basin 300. Thirty-five teams started the race at 10 a.m. Saturday. The trail was shorter than normal. Open water prompted race officials to move the starting line from Glennallen to Gakona, about 15 miles northeast, Severs said. Temperatures then dropped to about 40-below last week, he said, making the 264-mile trail hard and fast. “It was a sprint course for sure,” Severs said. The trail stretched from Gakona to Red Eagle Lodge in Chistochina to Meier’s Lake Roadhouse to Sourdough to Point Lodge at Lake Louise to Old Paths Baptist Church in Glennallen. Severs said temperatures varied during the race. They fell to at least minus-20, he said, and also crept above zero. Alaska’s next major mid-distance sled dog race starts Friday in Bethel. Petit is signed up to compete in the Kuskokwim 300 alongside 2018 Iditarod champion Joar Leifseth Ulsom, four-time Kusko 300 champion Pete Kaiser, four-time Iditarod champion Jeff King and more than a dozen other teams.